1. This product is safe, power is not high, will not be injured by electric shock, but it is not recommended to touch the arc at the top of the coil, there will be a burning sensation. 2. Do not touch the heat sink after powering for a long time. The temperature is very high. When using 24V high voltage, the heat is huge. If necessary, please add heat to the cooling fan. If the working time is too long, it will be too hot. Please turn it off for a while. Use electricity. 3. 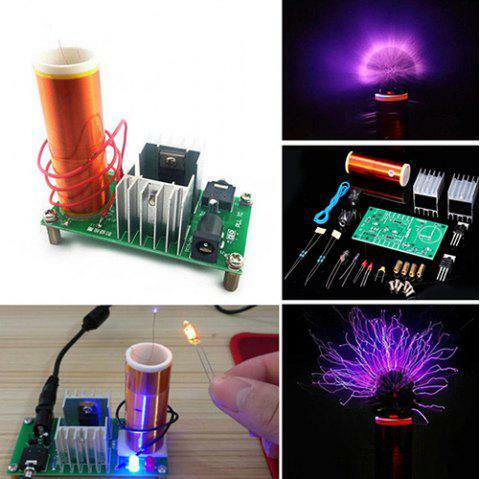 It is recommended that when the Tesla coil is working, do not put the body or other objects close to the coil, that is, leave the space half a meter away from the other objects, because other objects as good conductors will make the coil form a good loop, absorbing the coil energy, making the coil The presentation is getting worse or not! 4. Do not put mobile phones, mp3 and other electronic devices close to the coil, otherwise the high-frequency magnetic field generated by the coil will interfere, making the mobile phone, mp3 and other equipment malfunction or even damage!